This is a yacht that unifies sailing performances of a fine curiser and comfort which is usually synonymous with motor yachts. That is not all: this yacht will be made of ultra-modern materials, using cutting-edge technology. But let’s go step by step. Adler 60′ is the latest project by the renowned designer duo Nuvolari Lenard, famous for their supreme designs in the last 20-ish years. The company was founded in 1992 by Dan Lenard, the stylist; and Carlo Nuvolary, a naval architect and mechanical engineer. Their cooperation with famous shipyards has resulted in fabulous yachts, while their work also includes marina designs, interior design and many more. Their latest project is meant to amaze passionate sailors who despise the smell of fuel but do not want to give up the comfort offered aboard fancy motor yachts. With enough wind, Adler 60′ will be able to glide with a single rudder, whereas the navigation range with her motor regime will be 100 nautical miles. 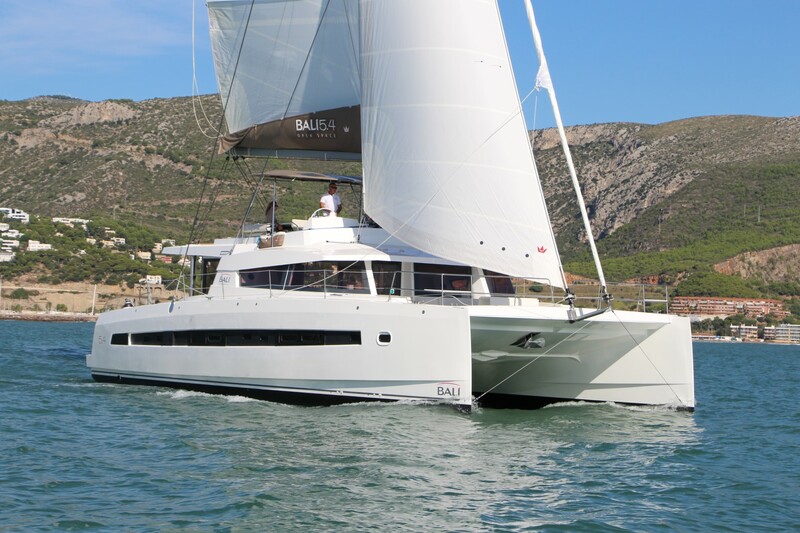 Such features will be possible with the help of modern hull design lines, the use of a carbon rig and Lorima rotating carbon mast without a backstay, while fresh water tanks will be constructed to function as ballast tanks. Special care was given to the sail plan which includes a full-batten square-top mainsail, a 110% present high aspect genoa and a 95% self-tacking flock. The sail plan for the open and hardtop versions remains the same. The motor drive includes two electric motors produced in Finland exclusively for Nuvolari Lenard. The capacity of the batteries should be sufficient to reach the range of 100 nautical miles with average speed of 5 knots, or 50 nautical miles if the speed is increased to 7.5 knots. The batteries are simply recharged through 220 V plugs provided at every marina, or during the navigation using solar panels and/or a wind propeller. Aside from a significant navigation range, such sophisticated system produces no engine noise, while the nature remains unpolluted. Concerning the outside living aboard Adler 60′, the designers have combined the size of a sailing yacht with the comfort of a motor yacht. The carbon hardtop covers the large cockpit where the pedestals of the twin stirring wheels are moved towards the entrance to the saloon. Behind them are two bar areas followed by a two L-shaped sofas and a traversal aft sofa, which transforms into a sunbathing area. The entire cockpit area can be closed by the risen-glass on the sides and aft. The controls for the sails and navigation instruments are placed in front of the skipper, all covered by a windshield. The aft sunbathing platforms hides a 3.2 m long garage for the tender, as well as a swimming platform. The area below the deck hides three double bedrooms, a galley, two bathrooms, a saloon and a skipper’s cabin equipped with a toilet/shower room. We can only imagine what colors and materials will be used for interior design having in mind that this is a work of a renowned stylist. The Adler 60′ will be 18 m long overall with the beam of 5.4 m and the draft of 3.2 m, while the mast height is 23.5 m. This yacht will be equipped with a 20 l/h capacity water maker. Adler 60′ by Nuvolari Lenard is created as an answer to the massive production of sailing yachts, concentrated around a few big players on the market. However, the designer duo does not intend to compete with big players, but to offer a sophisticated vessel for demanding customers of younger generations, as well as to those who are fed up with massive motor yachts. 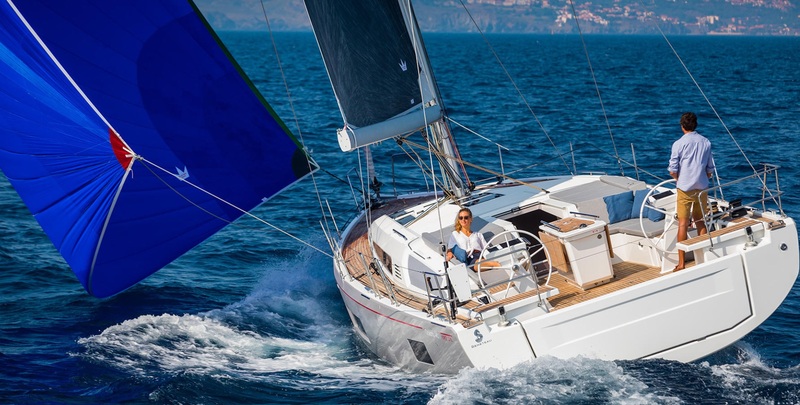 In spite of the earlier announcements, Adler 60′ should be presented at this year’s edition of boot Düsseldorf boat show. 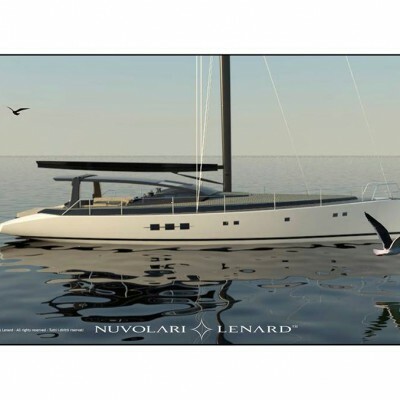 After the launch of Adler 60′, Nuvolari Lenard will stay in the world of sailing yachts with a completely new design of a 33-feet daysailer. Since the production will release only a few vessels a year, I believe it is going to be a very exclusive toy with a high level of customization, attracting the population of jet-setters. The feature of this splendid vessel that I like the most is her nature-friendly motor drive, and in this I see the future of shipbuilding in general.